As a down and out indie game developer, you have to work with limited resources. Or no resources. After screwing the pooch (or so they say) with Monstercraft, I felt like I needed to redeem myself and come up with a game that I could be proud-er of. The port to C++ for Win32 and then iOS took about 60 hours. As with Zombie Outhouse, I used Instant C++ to port the C# to C++ which took about a minute. The rest was all manual labor. Monstercraft runs on the same bioroid enhanced version of the bork3d engine that was used for Zombie Outhouse so it uses a custom C++ XNA style layer to ease the process. There were a few parts of the port which I felt took too long and need to be optimized for the future. Zombie Outhouse Development Part 7: Back to the XNA Arrrr! 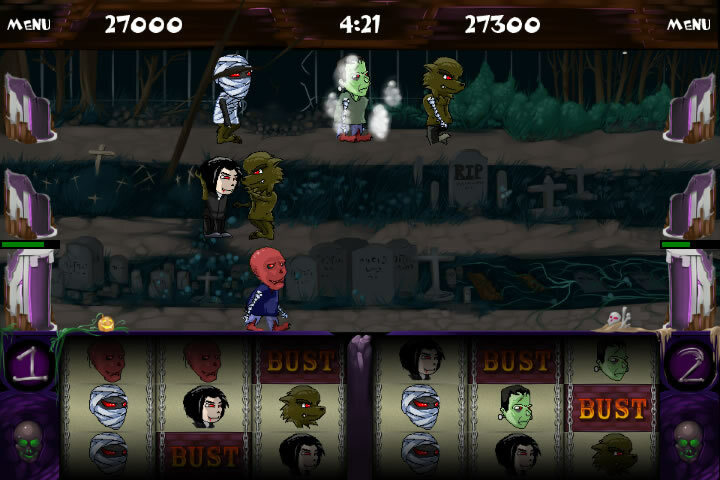 Porting Zombie Outhouse to Windows Phone 7 was a fairly easy process since the game was developed using XNA and already running on the Xbox 360 & Zune HD. But Windows Phone 7 is a new mobile platform with its own set of challenges.